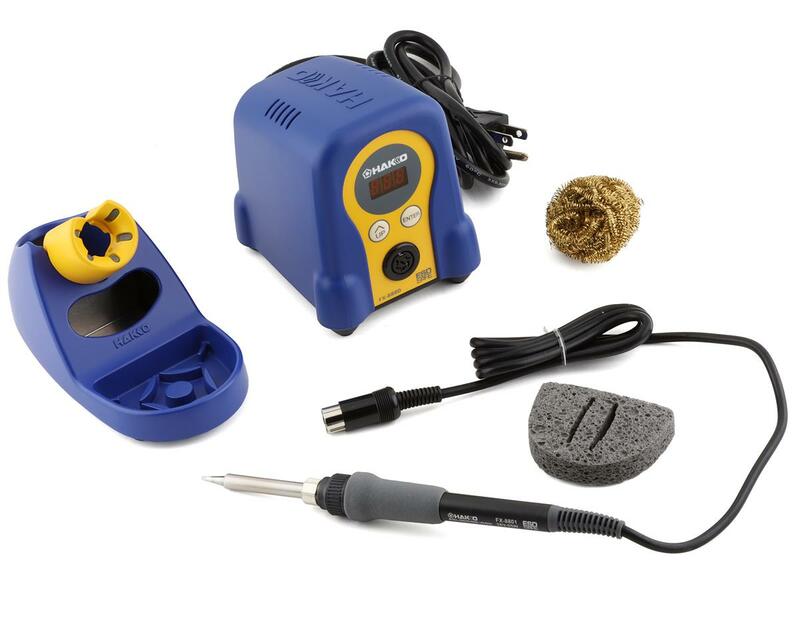 This is the Hakko FX888D Adjustable Temperature Soldering Station. 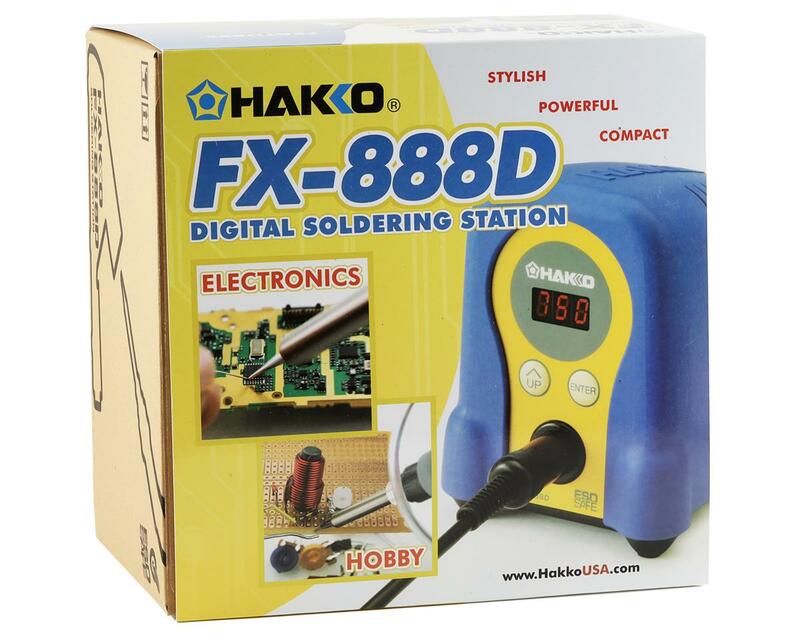 The Hakko FX-888D is an updated digital version of the popular FX-888 and includes several improved features. User selectable preset temperatures and digital calibration simplify user setup and operation, while the unique password protection and low temperature alarm provides process control and helps protect against cold solder joints, making the FX-888D an excellent choice for any RC application, including soldering battery packs, motors, connectors and circuit boards. Goes from room temp to 750* in about 20 seconds. With the combination of 70 W of power and a 5.2 mm tip, no factory ESC connection can stand up to it. I had a Viper that I could not get wires loose with my old 936, but the 888 cut it loose in a couple of seconds. Well worth the price. Watch youtube reviews first then buy from www.amain.com........ "heats up in seconds" no joke! This is the best solder station I have ever used. Iron heats up in about 1 min flat to a temp of 750 deg F. Makes very quick work of soldering motor tabs. Comes with everything you need to be a soldering pro, might want to add a large flat tip if you do a lot of motor tabs though, stock tip has more of a point than a chisel edge. This station is worth every penny. If you don't get one now, you will later once you grow tired of losing races to junk solder jobs. Probably the single best tool purchase I've made in a long time. A must have if you're going to be in this hobby for a while. Less than 15 minutes after it arrived, I broke the JST connector wire on a really small SciSky FC board. I used this to repair it in short order, and I was impressed with how well it worked. Having a quality iron is invaluable. I should have bought this years ago! Incredible! Love it! Since I started in RC I had my original Radio Shack soldering iron until now,and it worked just okay. I read the reviews and hit the buy button on this one figured this will be the last soldering iron I’ll every buy. Got the spare larger tip also and used it just now to solder the motor wires on my B6.1. This heats up fast and is easy to use. I bought a larger 3.2mm tip for it and have not been disappointed. 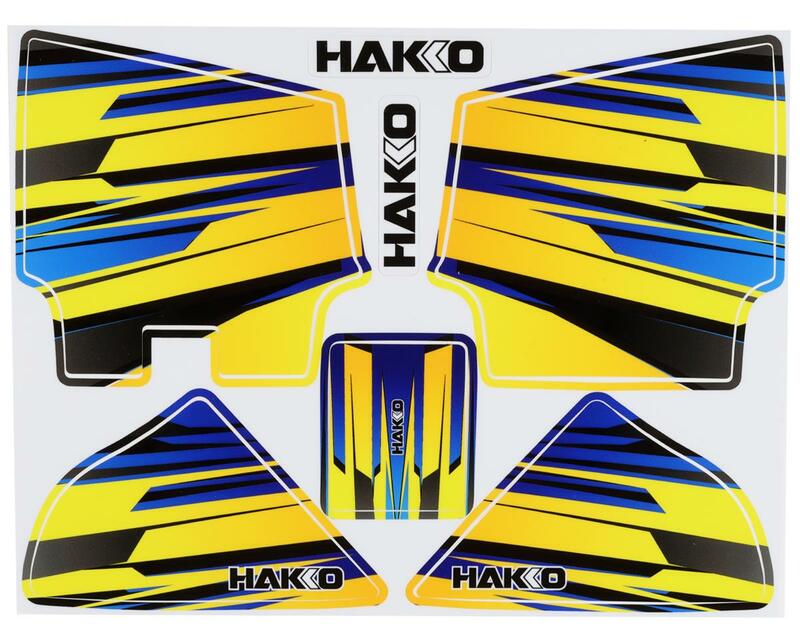 The Hakko holds heat well and makes everything you solder much easier. The equipment is built well, This will last you for many years to come no doubt about it.